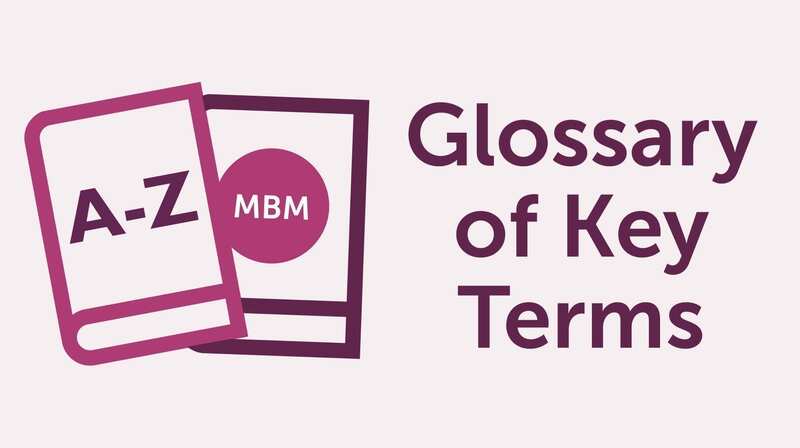 This glossary contains our Negotiation Skills definition and a list of terms frequently used in the topic of Negotiation Skills. For a comprehensive guide to how perfecting this can help develop individuals, managers and businesses, check out our free Ultimate Guide to Negotiation Skills. Creating an initial position where opportunities for further negotiations are opened. An attempt to resolve any differences between the two parties in order to proceed with negotiations and break a deadlock. A positive result of all parties agreeing on a common goal or deal. This means that the needs and conditions of everyone are met and the deal will be sealed. An act of evaluating a result of a test or exam. This judges the quality or ability of the examinee. A negotiation type where both parties dispute the price and terms until they reach a satisfying outcome and mutually agree. A state of equality among competing brands. This makes sure that not one of them ends up monopolising the market. This makes sure that no one will be stronger than the other. Popularised by Roger Fisher and William Ury in their book ‘Getting to Yes: Negotiating Without Giving In’. It explores your options when another party refuses to negotiate. These are other possible deals you could aim for if you and your buyer did not have a positive agreement. When multiple buyers or sellers competitively create a price offer or a bid for goods or when providers offer services to potential buyers. This could take place in an auction or stock exchange. Being unable to take advantage of an opportunity due to lack of emotional appeal, emotion, or information. A tactic wherein you pretend to swing the negotiations to your favour. It could be to pretend to walk away or feign disinterest. Bluffing could also mean you pretend to have other options available when, in fact, you may not. Best Possible Agreement. A set of decisions or choices where all the parties agree on all terms and are happy with the outcome of the negotiation. A person who is interested in the product that you are selling. A person who is able to purchase something you or your company is selling. Being able to influence another person into agreeing and become even more locked in on an idea or strategy. An act of working with another group in order to create or produce an item or supply. This means that the supplier and the buyer have found a similar goal or terms they can both rally behind. agreed to terms and has mutually understood each other. A service or item that is seen as the same value of all parties involved. Another company or group that has the same or similar product as yours that competes for your market share. This is where the buyer may appear to respond aggressively to the negotiation. It could destroy your pitch and end up not getting the sale. This is when you showcase a sample of your product to the buyer. A lot of times you let the buyer experience your product to show that your product is, in fact, working as intended and gives you that extra boost into selling the product. To de-escalate raising concerns, worries, conflict or any doubts that may be preventing a buyer from sealing the deal. Effective diffusion means being able to communicate much more effectively to win back the confidence of the buyer. A stalemate wherein no one wins or loses, and the negotiation fails to progress. Sometimes this is due to a disagreement, lack of confidence in the product, or the buyer or seller wanting to get more out of a deal. Groceries Supply Code of Practice. A collection of guidelines on how retailers should be treated and how to manage a positive relationship with suppliers. This is to compel another one into submission. Often, one party uses bullying tactics towards the other to get what they want. These are some telltale signs or a buyer’s behavioural response that could guide someone to react strategically. A lawsuit that resolves a dispute within a contractual agreement. Usually because of contractual issues that need could not be solved through communication and requires legal action. Thinks and talks clearly and with proper reasoning. Comprises of sensible, well-thought-out words. To help settle group negotiations, a consensus follows the wishes of the majority. A type of behaviour wherein they try to make you respond or decide according to what they want by controlling how you think and decide without you realising it. A negotiation course that could help you in negotiating and sealing the deal with your buyers. This course explores all the different tactics and techniques involved in the negotiation process. This is where the negotiator makes two (or more offers) of relatively equal value to invite greater discussion of the issues under negotiation. When more than one party is involved in a negotiation. This is often done in negotiation training courses to guide and teach students useful negotiation strategies and how to counter them. The purpose of this is for participants to understand better how negotiating works and how to adapt to different situations. A series of plans that are set to achieve the negotiator’s goal: to reach an agreement, sign the contract and finally, seal the deal. Strategies are none-size-fits-alls all. Follows the establishment of trust and a positive relationship between negotiating parties. Negotiation dates back to the 17th century where it was finally properly defined as a dialogue or conversation between parties to reach a mutually agreeable outcome. Even before that, negotiation skills have existed as part of natural human evolution as a means to reach an agreement. In essence, it is an interaction between two or more parties that aims to find a common ground of interests and a give-and-take of terms to arrive at a mutual agreement where all participants feel they are in a win-win situation. A sales pitch is a way to persuade a buyer to purchase a product you intend to sell. This is the part of the talk wherein you showcase the features of your product and how useful it would be. An activity wherein a person shows and explains a certain thing to another person or a group of people. An act of presenting something. This means that the negotiator is not willing to take a risk and that as much as possible would not like to gamble with a deal that can fail. Appeal to risk-averse clients by providing solid proof of success, plan B’s, and other fail-safe measures you have in place to ensure profitability. A term introduced by comedian George Carlin that ‘softens’ or in a less soft language, conceals the truth with the use of euphemisms. A reciprocal arrangement occurs when two groups (or people) who act and behave in the same way agree to work together. Being able to understand the situation what is going on and where you should position yourself. Being able to come back positive with the buyer, ending up sealing the deal. When the negotiator is willing to take risks or is willing to gamble, for more returns in investment. A methodological approach or system that is tried, tested and proven to be effective in the market. Permanently lost money or assets on lost opportunities. One that provides the items that the buyer needs. Also, someone who provides products to the retailers. Basic commodities traded and sold usually internationally. They are typically split into four categories: livestock, agriculture, metals, and energy. Final say about the product being presented. A verdict is either negative or positive, sometimes the buyer would request for further improvements of the product. An agreement wherein a party might win something but lose something in return. An agreement wherein both parties are likely to win and have no loss in their bargain. For further tips and information, you can take a look at our Ultimate Guide to Negotiation Skills and our Negotiation Skills YouTube Channel. Also, check out our award-winning blog to see more Negotiation Skills Tips and articles. Interested in training? See how our Negotiation Skills Training could be of help to you.